The world today has more visionaries and free-thinkers than ever before, and the increasing frequency of start-ups is proof enough. Having said that, it might come as a shocker for you that only about 0.5% to 0.91% of startups actually get funded by venture capitals and angel investors, respectively; An unfortunate irony in evidence! Now, if you are wondering what is the reason behind this huge gap, the answer is simple and as cliché as it may sound, ‘a startup is never about the idea but its implementation.’ In fact, your idea can be as unique as a unicorn standing amidst a team of horses but if it is not prepared for the race, it is not going to win. Period. No matter how much it appears in your newsfeed, there is no thing as an overnight success. Most of these are just baits to get you to read the article and once you are through, you will know that ‘that overnight success story’ had months and sometimes years of preparation and dedication to polish the idea and raise funds in its back-story. Since it has already been established that the real power is in implementation, let’s waste no time further and look at how an early stage startup can taste the success! The ingredients you will need are an idea- of course, a prototype, a dedicated team and revenue to continue serving, which is like the magic bean that only few manage to get their hands on. And, why not?! Investment is a risky game and no investor would want to invest in a business they see no future, no value in. Now, it goes without saying that as the founder or co-founder, it is your responsibility to prove it to the investors that you are a worthy investment because more often than not, investors put their money in founders and not just the idea. Why else do you think there are so many startups with a similar basic idea that angel investors support? ‘If only finding investors was this easy!’ Believe it or not, it is no game; you have to put a lot of efforts and time just to meet one- attend tons of social events, build innumerable connections, and most importantly, be in the right place at the right time. However, the often overlooked fact is that even investors have their own domains. For instance, suppose you are a budding restaurant startup RSVP’ing an event like UnPluggd- seriously, good luck finding an investor! “If you want a book, you would not get it in a guitar shop; now, would you?” It is as simple as that. Secondly, if you somehow manage to be in the right place at the right time and get the contact information of the right angel investors, getting them to notice you is a real pickle. While cold calling and e-mailing have seemed to work for some, the reality is it is still more like a coin toss. As a matter of fact, studies and surveys suggest that cold calling makes you look desperate and since investors get hundreds of pitches over email every day, almost around 95% of those go unnoticed. On the other hand, if the investors notice you on their own (right place, right time, and right tactics) or you are referred by someone in their trust circle (although let’s admit, not everyone has the connections! ), you can have a real shot at getting funded. But then again, it is easier said than done, thanks to the expensive marketing, inefficient networking events and costly conferences. Since the whole point of startup world is to solve problems and make life easier, it would be another unfortunate irony to not have a solution for easily starting up. Thankfully, platforms like Gust, LetsVenture and Startup-o deliver that solution and make the process of networking and getting funded by investors easier. These platforms are designed on the basis that investors need startups as much as startups need investors, and thus make it easier for startups and angel investors to meet and better understand each other. To be more precise, Gust and LetsVenture are like startup social networking sites where in you make your startup profile, then wait for it to get approved and investors to contact you. There are also paid features that let you pitch in front of investors and explain your idea in detail, look for potential A-team, and connect with other founders, advisors and mentors. 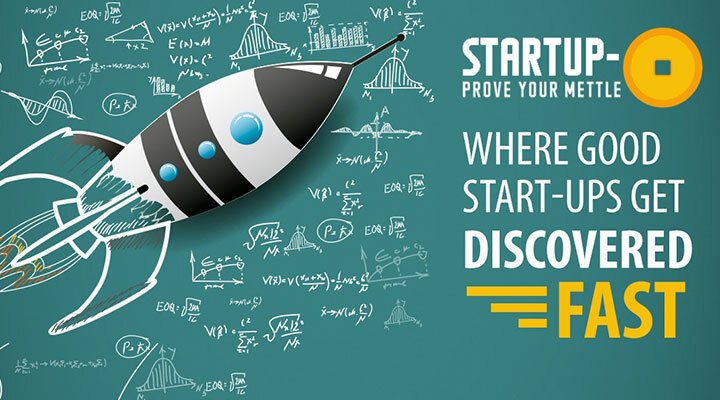 Startup-o, however, is a more preferable option than any ordinary approach since it is an online and free contest platform, which digitally amplifies your network and makes the process even more streamlined. So, you can easily win over the negative factors like social anxiety, not being able to put your best foot forward in the very first move or the fear of pitching in front of a crowd. The best part, however, is that even if you do not win the competition, you win at networking successfully anyway; you get an edge over your competition with a chance to interact with investors on a one-one-one basis. It’s time to take blind chances out of the equation, and prove your mettle!